BERLIN, Germany -- For months, Moscow and Brussels have been wrestling for influence in Kiev. But what do they want from Ukraine? Is there something to be gained economically - or is it just power politics? In the foreseeable future, Ukraine is going to cost the West a lot of money. The European Union has earmarked 1.6 billion euros ($2.2 billion) for short-term aid. The United States is providing 800 million euros in loan guarantees, while the International Monetary Fund (IMF) calculates that Ukraine will need $15 to $18 billion. Russia has just raised the price of natural gas to Ukraine by 80 percent, so the country will probably need a few billion more than that to avoid bankruptcy. But why is Europe so vehemently keen to help Ukraine? And why is Russia bent on preventing its ailing neighbor from drifting into the Western fold? "Ukraine with its 46 million people is an important consumer market and increasingly an important supplier for the German automobile industry," notes Alexander Markus of the German-Ukraine foreign trade council in Kiev. The foreign policy spokesman of the German Free Democratic Party (FDP) in the European Parliament, Alexander Graf Lambsdorff, also believes, "Ukraine has great potential over the long term." 'Great potential' sounds like a wonderful future and dismal present. Ukraine is behind Mongolia in terms of Gross National Product. Its industrial base is antiquated, wages are low ($3,800 per capita per year) and kickbacks are high. When the Soviet Union collapsed more than 20 years ago and most state-run companies were privatized, a few oligarchs emerged from the chaos in Ukraine, using their new-found wealth for political leverage. They control not only the economy today, undermining competition, but also have tremendous influence over the political process. The government in Kiev, says Rainer Schweiklert of the Kiel Institute for the World Economy, "must finally draw up clear competition regulations and enforce them because that is the only way for a broad middle class of small and mid-sized businesses to emerge which, in turn, is necessary for growth." Even the agricultural sector, for which Ukraine is famous, is struggling with enormous problems. The country is the world's third largest exporter of grain, after the United States and the EU, but mismanagement and the lack of investment have seriously affected the quality of the goods. Ukrainian grain today is bought almost exclusively as animal feed. Ukraine is really no longer important as a bread basket for either Russia or Europe, which export their own grain. And the rest of Ukraine's economy has little to offer that other countries don't have or could easily get somewhere else. The machines, steel, and chemical products that Ukraine exports mostly to eastern and central Asia can be purchased everywhere on the world market. The only things Ukraine makes that are really strategically important - at least for Russia - are a few technologically sophisticated niche products in the aerospace industry. 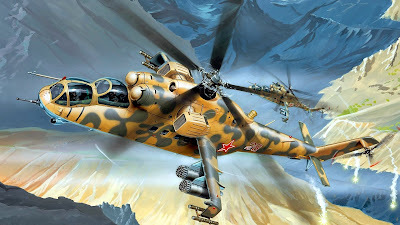 During the Soviet era, Ukraine was handed the task of manufacturing missile parts and helicopter engines. Many experts think that this monopoly may be one of several reasons why Moscow wants to keep Kiev in its sphere of influence. "Cooperation with Ukraine on military technology is important for Russia," says Ukrainian economics consultant Boris Kushniruk. "Without Ukraine, the Russian army can neither fly nor shoot." The annexation of Crimea may have ensured Moscow's access to the militarily and strategically important Black Sea port of Sevastopol, but at the same time it undermined any hopes of cooperation with Ukraine. Kushniruk thinks Kiev will have little choice but to halt its military technology deliveries to Russia because "otherwise Ukrainian weapons could be used against Ukraine." Moscow faces the stark choice of invading and occupying those Ukrainian areas where important weapons parts are manufactured, or setting up its own production facilities in Russia. Or, of course, it could de-escalate. After all, in terms of its economy, Ukraine needs the trade with Russia more than Russia needs Ukraine. Kiev cannot afford to dismiss any source of income and its dependence on Russian natural gas makes it nearly impossible to maneuver. Ukraine's rich shale gas deposits are still a pipe dream and it will take years to develop them, says Markus. If they are ever tapped, it would lower Ukraine's dependency on Moscow and "change the rules of the game," he said. Russia's invasion of Crimea has geostrategic reasons, says Lambsdorff. "The issue is to keep NATO away from its borders and to build the Eurasian Union, which without Ukraine would be uninteresting." Economic reasons play a secondary role at best, he said. Economically speaking, Ukraine is also too small for the European Union to justify spending billions of euros. Even with an association agreement and increased trade Ukraine's economic importance would remain modest at best. Ukraine's auto parts suppliers, for example, contribute 14 percent to the country's export volume, but represent a mere 0.3 percent of German carmaker's imports. Stability, no border conflicts, no waves of refugees. EU members Poland, Slovakia, Hungary, Romania and the Baltic states are pressing Brussels to bring Ukraine as close to the EU as possible. For Berlin, London and Paris, Kiev may be far away, but for the EU's eastern European members Russia's actions and the situation in Ukraine are deeply unsettling. "If the country collapses, controlled immigration would morph into chaos and that cannot be in Europe's interest," Lambsdorff warned.